You can help Rashada and her friends do just that by giving the gift of reading!! Donate a book from the school’s book wish list and your book will be hand delivered with your name inside the front cover and placed, with LOVE, on the shelf of the Cheery Centre’s new library. Give the gift of reading to a child and impact their life forever. Thank you in advance for your generous support!!!! Born and raised in the windy city of Chicago, IL, she started with her first ballet class at the notable Southside YMCA at four years old. Upon graduating from Beasley Academic Center, Rashada decided to leave her good friends and go on to Curie Metropolitan High School (which was then deemed as a performing arts high school), where she became the first female conductor for the Curie High School Gospel Choir. In her senior year, she was bit by the “acting bug” and performed in her first leading role as Deena in the high school’s production of Dreamgirls. Little did she know, a few months shy of graduating from Florida A&M University, she would return to play the role of Deena again in college. While majoring in psychology with a theatre minor, Rashada served as lead vocalist of at least four bands, toured with the Tom Joyner’s Fantastic Voyage Cruise, sang in the FAMU Gospel Choir, joined Delta Sigma Theta Sorority, Inc. and served on the University’s Royal Court as Senior Attendant all before graduating with her degree. After graduating from FAMU, Rashada returned home to look for work. She eventually got a call from her best friend to audition for a children’s show at Chicago’s eta Theatre. 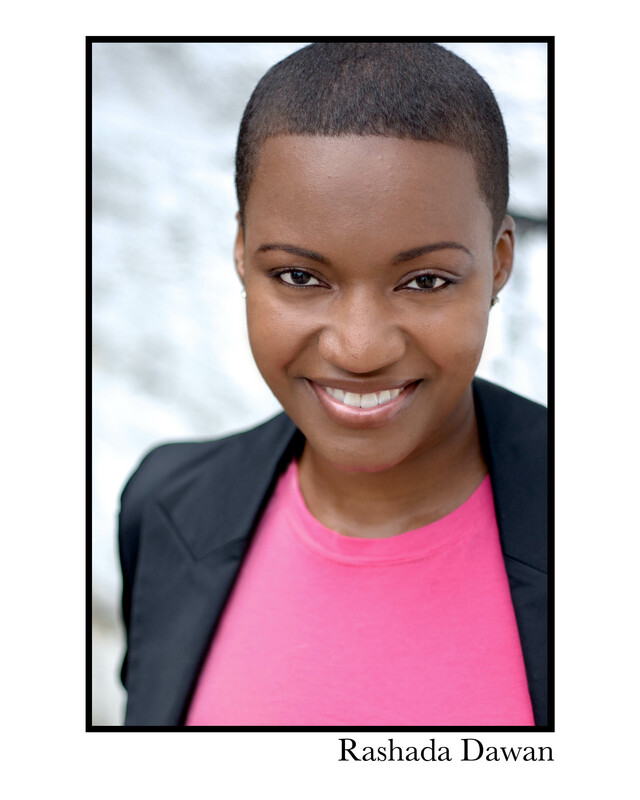 From there, she quickly got casted in productions with some of Chicago’s finest theatre companies including: Bailiwick Chicago, Chicago Shakes and the Black Ensemble Theatre. By day, she worked in a mental health community center as a Training Director; by night, she was a star. Rashada went on to receive her graduate degree in Human Performance and Training Consulting while starting her own production company to later showcase her two original pieces– Israel’s Daughter and For Colored Girls Who Dance Instead. After deciding to pursue acting full-time, Miss Dawan received a Black Theatre Alliance Award for Best Leading Actress in a Musical for her portrayal of Aida in Bailiwick Chicago’s Aida. After Aida closed, she and over 500 hopefuls auditioned for Disney’s The Lion King. After waiting for at least 5 hours as #407, Rashada auditioned and was asked to come back to read for the role of principal character “Shenzi.” 2 months later, she was asked to join the Lion King Las Vegas cast and eventually to join the Lion King Gazelle National Tour. She is currently portraying the role of Shenzi in Disney’s The Lion King Gazelle National Touring company.